238 | 365 The worlds greatest boss? I have a strange abnormal admiration for the window cleaner guy. Not only does he charge significant coin but now he seems to have an employee to do the dirty work. Make no mistake he has provided the valued staff member with a waterproof jacket. 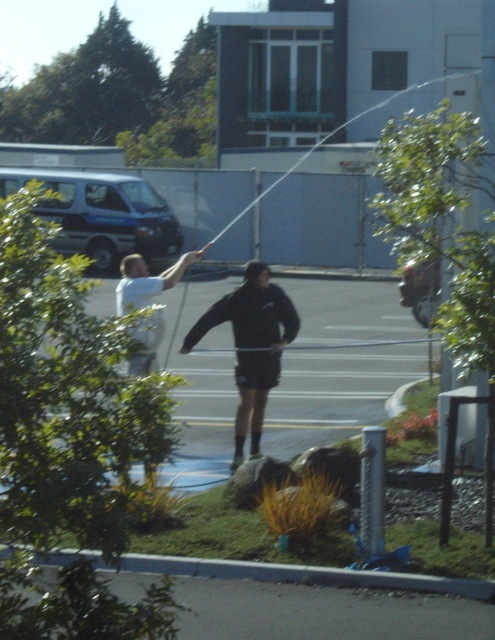 Which is handy given that the boss hoses down the windows directly over, around and through, the employee as he scrubs the windows with a brush. Definitely a nominee for ‘the worlds greatest boss’ awards.